Are you tired of out sourcing your graphics and presentations even though you are artistic? Are you not taking advantage of all the functionality of your Microsoft Office or Adobe software products? 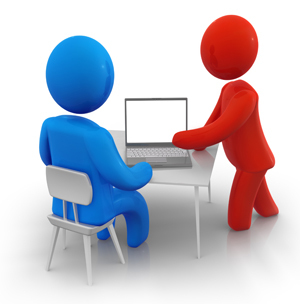 Global Communications offers one-on-one training for most computer software products. We can customize a training program around your schedule based on your skill level at your location. Live training is far superior to reading a manual, not to mention much more enjoyable. From simple overviews to in depth functionality, Global Communications can train you and your staff on most popular software packages. to get the out of your office software investment today!